Hey little bunny, is that a tooth in your pocket? The thing about baby teeth is that they’re incredibly, incredibly tiny. So once those first wobbly teeth set in, your kids are going to need somewhere safe to keep the ones that fall out til the tooth fairy does her thing. 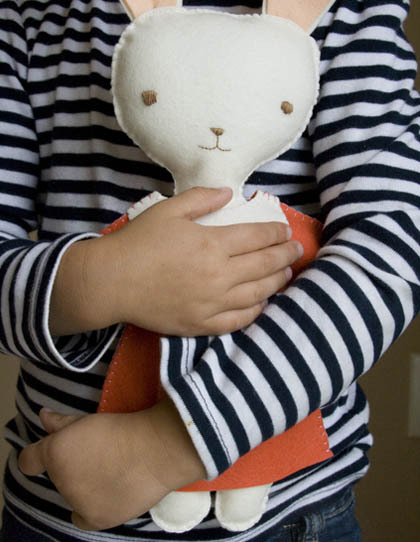 We bet you never thought of keeping them in a rabbit! Well, here’s one mum that did and we must confess, we like her cuddly tooth fairy bunnies a whole lot. Though the twisted mum in me wants to warn my kids that this is what happens when you eat all your Easter eggs at once! 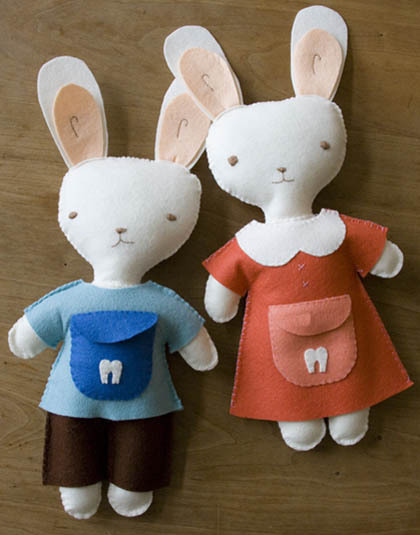 Mum-of-two Brooke Reynolds adapted a pattern from felting bible, Kata Golda’s Hand Stitched Felt, to make these bunnies for her two children. She added the pocket herself when her son woke with a wobbly tooth. See how she did it at Inchmark. No wobbly teeth in your house? No matter. Take a leaf out of Brooke’s book and adapt the pocket to suit your own little person. I like the idea of using it to store treasures – my son’s always looking for a place to stash a stone or gumnut he found on the walk home from school while my daughter’s always got some favourite little this-or-that on the go. Keen to make your own sweet bunny? 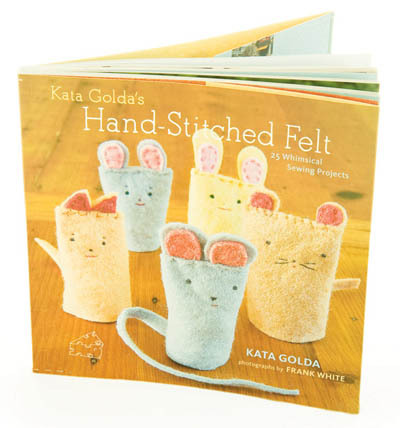 Kata Golda’s Hand-Stitched Felt is available online from Angus & Robertson for $30.95 plus post. While you’re flicking through the book, enjoy a cup of tea in one of the delightful little Kata Golda mugs we’ve shown you before.